Mali Mish - Day 45: Summit Ave in St. Paul and the Moon Festival. Minnesota is a dry state. That means on Sundays, you cannot buy alcohol from the store. 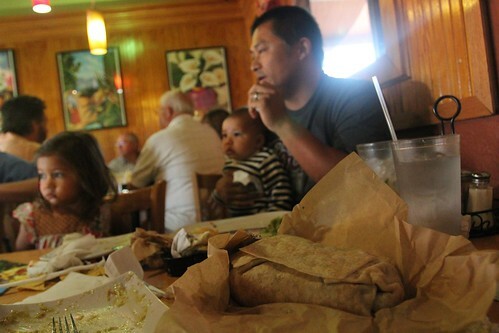 At a restaurant though it is all fair game. These guys behind us are taking advantage of this little loophole with mugs after mugs of draft beer on this late Sunday morning. The upcoming full moon is known in the western world as the harvest moon. Before mechanized farming and electricity were available, farmers took advantage of the brightest moon light to work well into the night for their fall harvest. In China, Vietnam and many other Asian countries, the full moon near the autumnal equinox is also celebrated. As a matter of fact, it is one of the most important holidays and many countries even celebrate it as a national holiday. 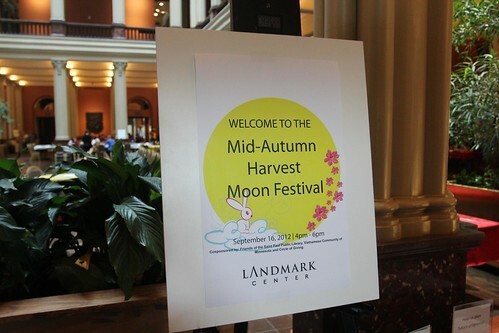 We are joining our friends this evening to attend a Moon Festival event hosted at the Landmark Center located in downtown. I have not celebrated one since I was a teenager and Marlene and the kids have never experienced one so we are looking forward to it. We had some time between lunch and the start of the festival so we took advantage of the downtime and cruised down the famed Summit Ave. 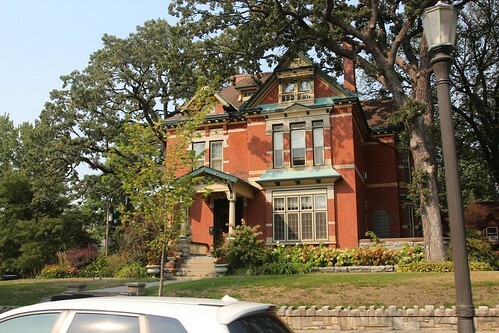 Summit Ave is located at the highest hill near downtown Saint Paul. 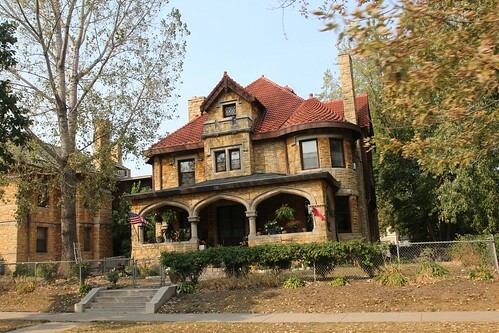 As the city was growing in the late 1800s, the wealthier citizens of Saint Paul decided to build their homes on this street so they would have the best views all over town. 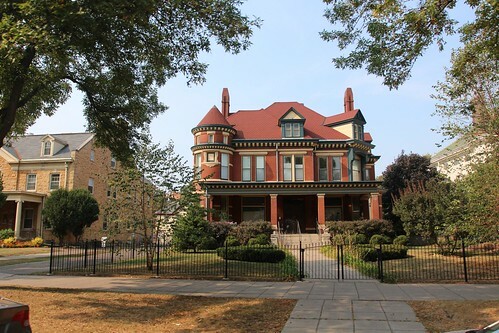 Some of these buildings are just stunning to look at. The closer to get to downtown on Summit Avenue, the bigger the houses got. Right at the end as Summit meanders its way down the hill towards downtown, you will see the beautiful Cathedral of Saint Paul. 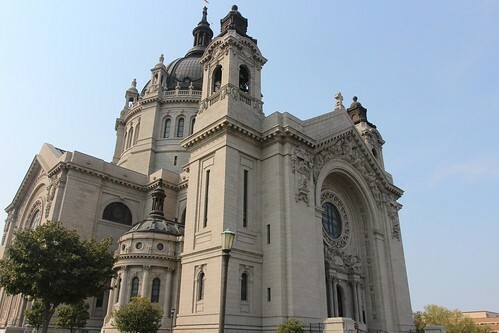 Just like the Basilica of Saint Mary in Minneapolis, Archbishop John Ireland was responsible for getting the project going. In fact, the same architect designed both this cathedral, as well as the basilica. 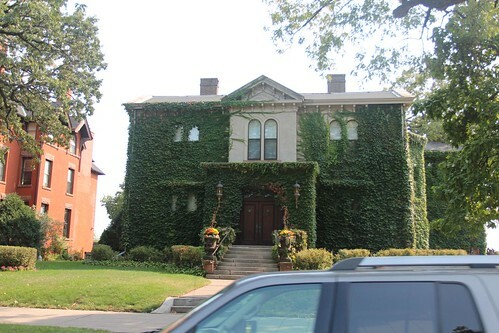 Not all of the Summit Avenue homes are private residences but many still are. Coming from California, it is pretty amazing what you can get for your money here. 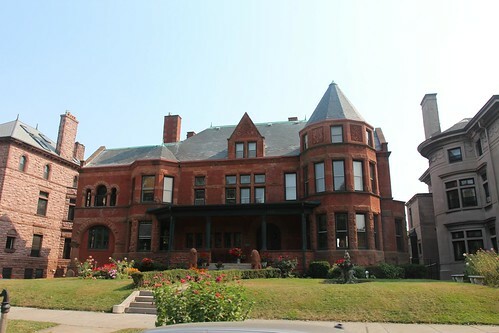 You can pretty much buy a castle here for what a bungalow goes for in Los Angeles. 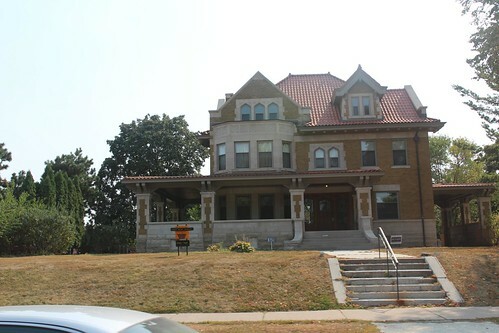 As we drove down the street, it seemed like every 3rd or 4th home had a for sale sign in front of it. 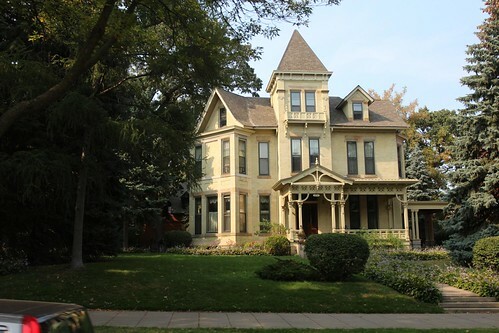 If you are planning on moving to Saint Paul, you can have the pick of the litter here. 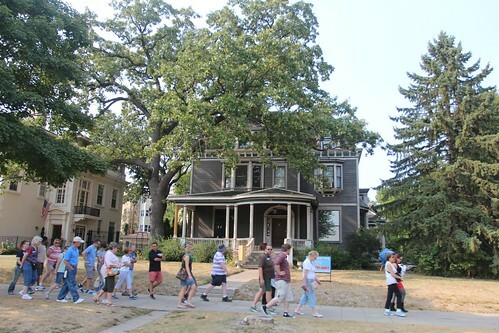 We saw many groups of people walking along sidewalks doing tours of the Summit Avenue. It would have been great to be able to take one of these tours. If we had the time, we would have definitely taken a tour. Or better yet, get a real estate agent to take you around to see the ones on the market for free. We made a couple of passes up the down Summit before heading downtown to Rice Park which is the area right outside the Landmark Center where the Moon Festival is held. 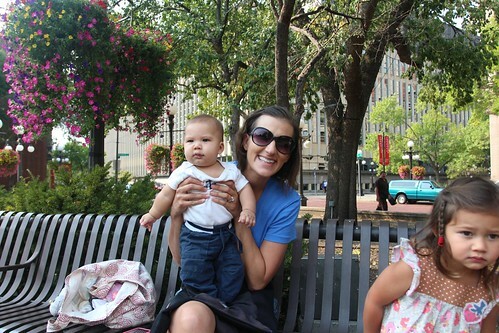 As we sat and waited for Chris, Jen and Cleo to meet us, Ava decided to take our DSLR camera and go to town with taking some photos. These are some of the gems she came up with. Some lady with a blue shirt. Me and my rear end. 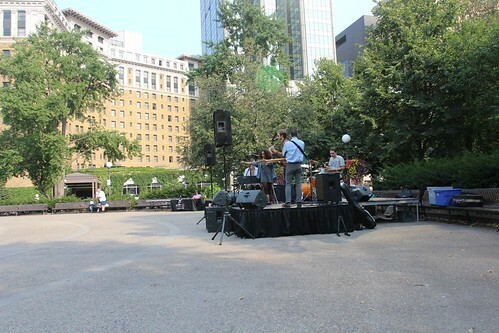 And finally, she captured some better photos of the band who was playing at the park. If you don’t believe that she took that photo, here is proof of her in action. 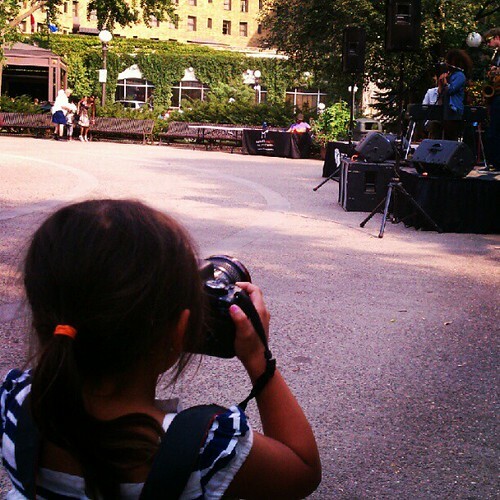 Our little photographer in the making! Finally, we met up with everyone and went in to check out the Moon Festival. 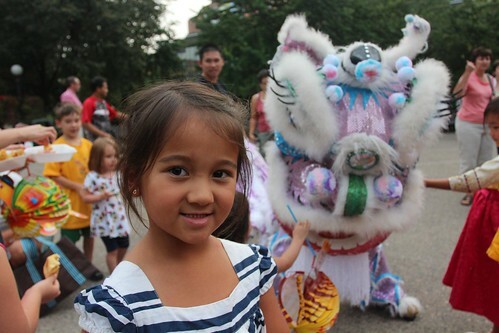 As a kid, a typical Moon Festival activity is going to the park after the moon has risen and eat moon cake while gazing at the moon. 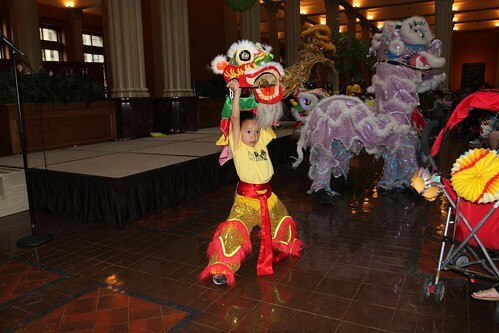 The event is organized by the Vietnamese community here in Saint Paul and everyone is welcome to participate. 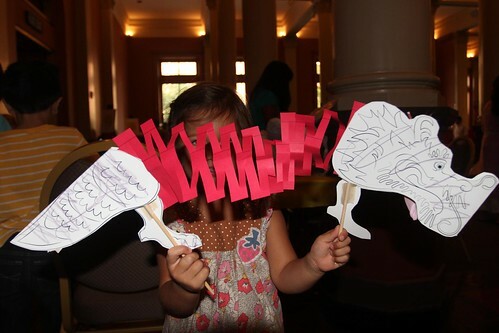 The girls had a blast doing some of the arts and crafts like Mila’s paper dragon. She has not quite grasped the concept of coloring. These scribbles are the best she’s got. 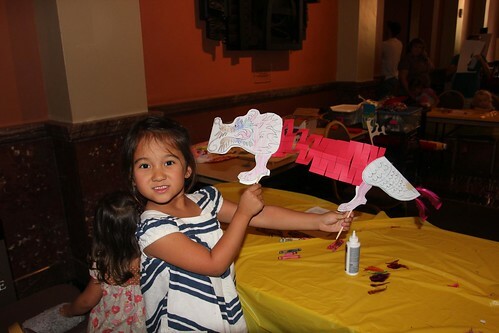 Ava’s rainbow dragon turned out a bit more colorful. 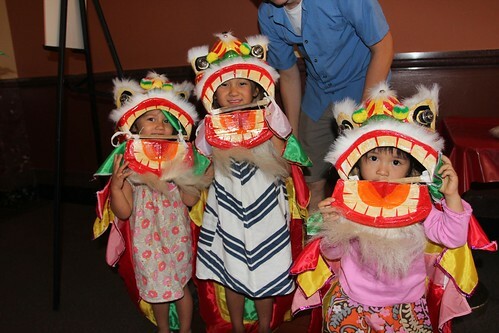 The lion dancing troupe brought some smaller, kid-sized lions that the girls got to try on. 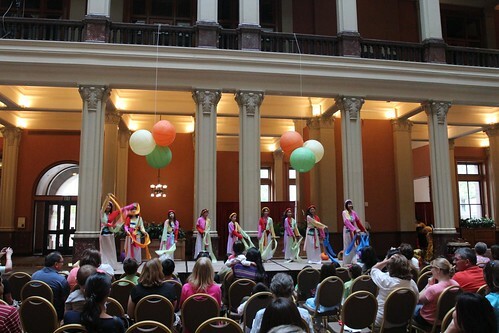 This is a traditional Vietnamese dance that was performed on the stage in the middle of this old, rescued federal building. 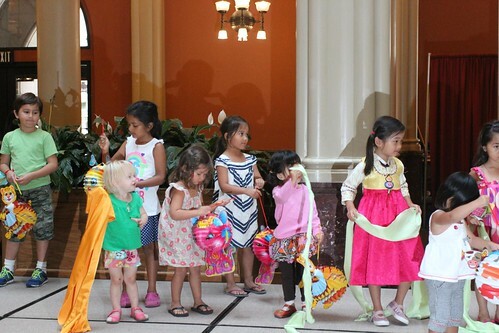 The girls got to get on stage and try those moves themselves with these cool kitty cat paper lanterns. 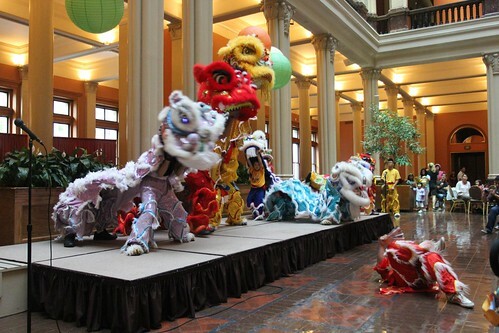 Then the lion dancers started going to town. They really put on a great show complete with martial arts demonstrations by each of the members. Check out this little boy. 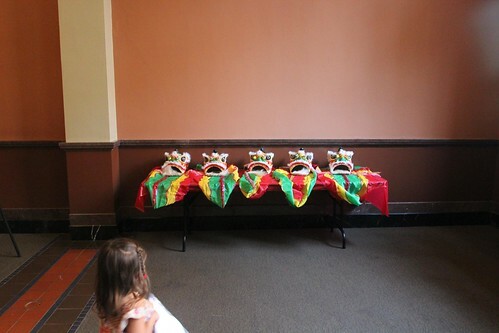 He is working that lion head like a champ. 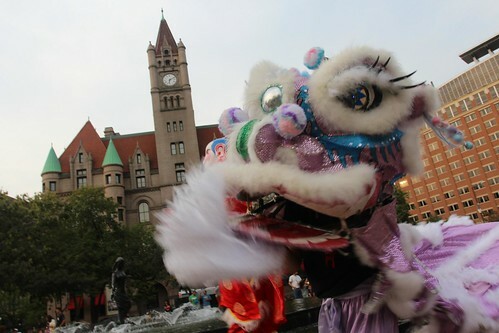 The lion dancers ended their performance and the Moon Festival by working their way back out to Rice Park. The Landmark Center is in the background of this photo. It was once a federal building that was almost demolished to make room for a more ‘modern’ and ‘useful’ high rise. We had a great time in Saint Paul and tomorrow we will be heading east into Wisconsin. There are probably a few days of boondocking ahead of us and as the weather is turning a bit on the cold side, it will be interesting. 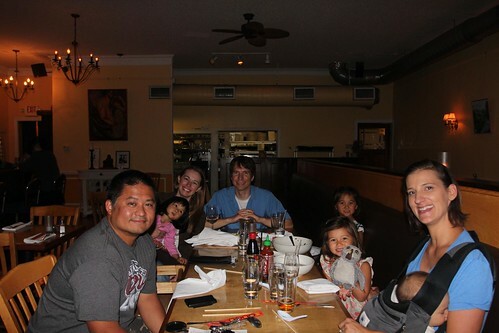 We had one last dinner with our good friends and since all good things must come to an end, we bid farewell and hoped to see them again soon.